Freightliner® medium-duty moving trucks provide class-leading visibility, superb maneuverability and a spacious, wide cab—just a few of many factors that set them apart from the competition. Transporting a wide variety of cargo, from furniture to merchandise, Freightliner® moving trucks are described by customers as easily accessible, with unsurpassed agility and effortless navigation. 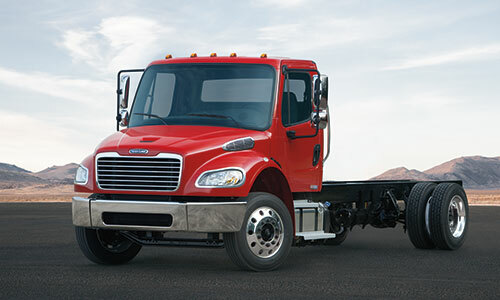 Freightliner understands that purchasing a moving truck isn’t just that simple. It’s about acquiring a reliable, efficient piece of advanced machinery with the explicit intention of enhancing your business. 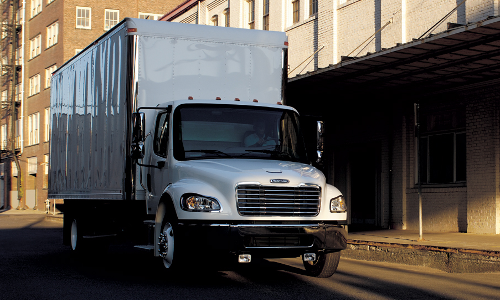 When purchasing a moving truck, consider Freightliner. Choosing Freightliner means choosing the industrywide leader in efficiency and dependability.